Architects, craftsmen and builders will find numerous examples of stone tiles and many examples in use throughout the showroom with over 1,000 sq. meters of space. 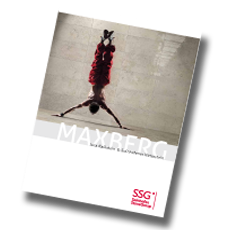 Come see the fascinating stone legends yourself: SOLNHOFENER Natural Stone, the classic MAXBERG® Jura Limestone, SOLKER® stoneware and the NATURAL STONES from around the entire globe.